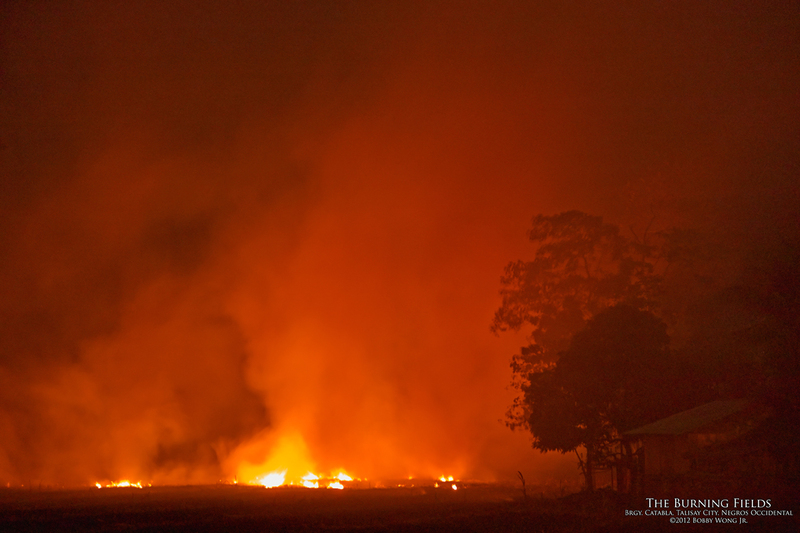 Driving home after shooting sunset, we chanced upon a roadside field all ablaze. How lovely! We were in Talisay City in Negros Occidental, in the motherland of sugar. Before us, folks were clearing a field for harvest by burning it down to the ground. Soon, the thickening smoke and soot made photography quite difficult. This is what we endure for our art. But if you pause for a moment and look beyond our art, it's really a familiar story: the old must go to make room for the new. After clearing the harvest, they will plant the next crop. And then it's the same cycle all over again. Just like in life. How lovely. Enjoy.